Defense Minister meets heads of the local councils in the Gaza Belt, says IDF remains on high alert after blowing up terror tunnel. Defense Minister Avigdor Liberman met on Thursday evening with the heads of the local councils in the Gaza Belt, for the first time since the IDF blew up a terror tunnel leading from Gaza into Israeli territory last month. 17 terrorists, most of them from the Islamic Jihad, were killed when the tunnel exploded. Liberman said that "the situation in Gaza is still tense," according to Channel 10 News. He added that Israel was preparing for a possible retaliation by Gaza terror groups and that is why the IDF remains on alert in the area. 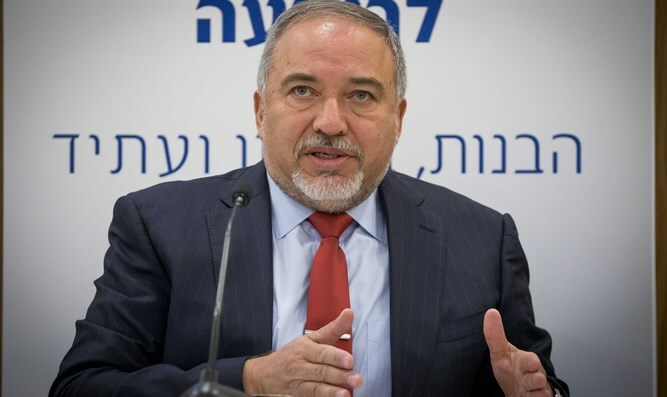 During Thursday’s meeting, which was attended by Southern Command Chief Eyal Zamir, Liberman also mentioned the reconciliation talks between Fatah and Hamas, saying, "They seem to be heading in a bad direction, and this is a factor that could ignite the region." Representatives of the Palestinian Arab factions, including Hamas and Fatah, met this week in Cairo. The talks ended in an agreement to hold new elections by the end of 2018. If held, the new elections would be the first in the Palestinian Authority (PA) in over a decade. However, Hamas later expressed disappointment over the latest round of talks, accusing Fatah of backing down from commitments in previous summits. The PA assumed control of Gaza’s border crossings following an agreement signed with Hamas in October, but there are still disagreements, particularly over the fate of Hamas's armed wing. Fatah leader and PA chairman Mahmoud Abbas has demanded that the armed militias in Gaza disarm as part of the implementation of the agreement. Hamas rejects the demand.